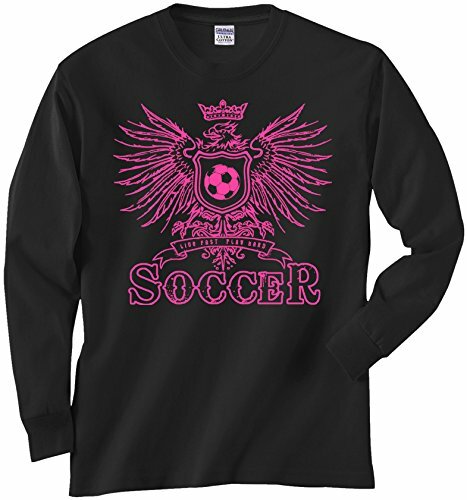 Women's Long Sleeve Soccer Tee, designed by Pure Sport. Available in adult and youth sizes. Very cool hot pink imprint on the black shirt. Also available in short sleeves. Supurb quality of pre-shrunk cotton. Amazing imprint on front and back. Adult and youth sizes. Also available in short sleeves.